Wild Bill and the Englishman One historian taught us so much about famed frontier gunfighter Wild Bill Hickok. Any Old West history enthusiast who fancies learning about famed gunfighter James Butler “Wild Bill” Hickok must have heard of Joseph G. Rosa. Inspired by the character portrayed in Cecil B. DeMille’s The Plainsman, Rosa became the biographer of Hickok—a remarkable feat considering Rosa was an Englishman who conducted much of his research via international letters (remember those?) 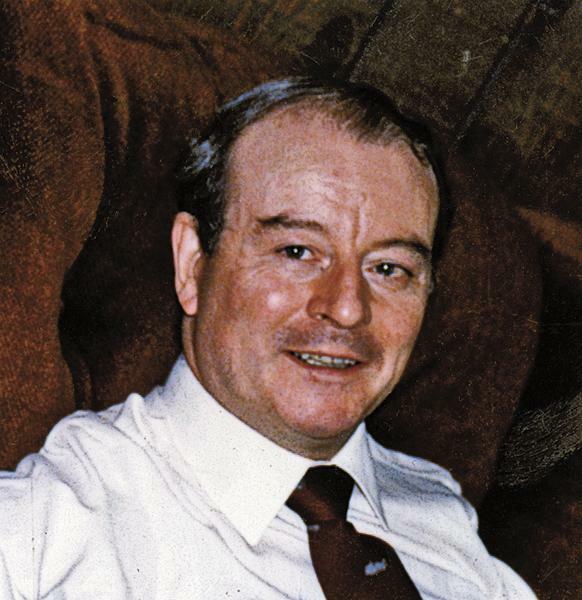 from the 1950s through 1970s. Just as impressive: Rosa was not a trained historian. He spent much of his career in the communications industry. 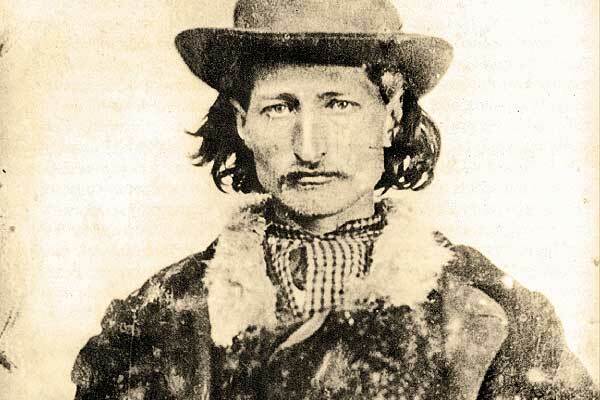 Yet his 1964 biography, They Called Him Wild Bill, and its 1974 update, remains the standard for the story of Hickok. Rosa died January 17 at the age of 82 after a long illness. But what we know about Hickok—just the facts, ma’am—lives on because of his incredible interest, intellect, tenacity and temerity. 1. 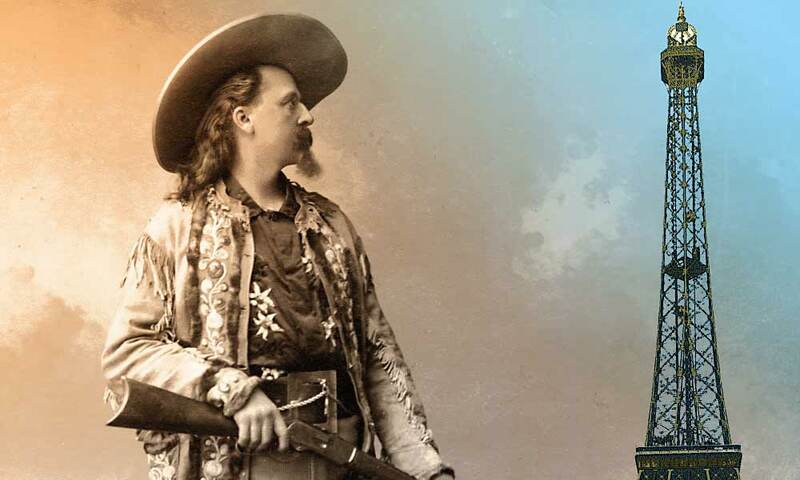 During his lifetime, Hickok was as well known as a frontier scout as he was as a gunman. 2. Legends claimed Hickok killed upwards of 100 men. Rosa discovered the kill count was actually around 10. 3. 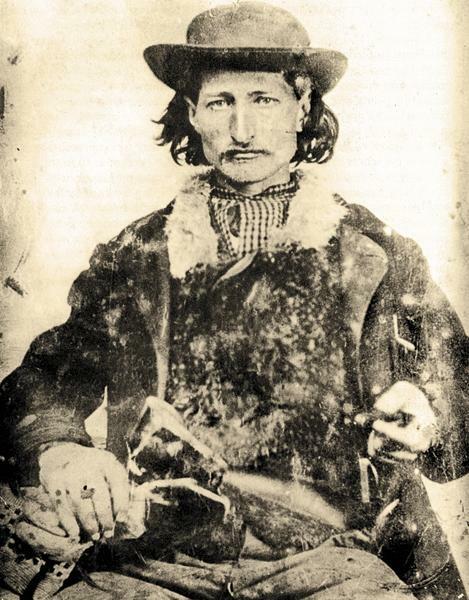 Hickok helped create his own legend, but later in life, he hated his reputation as a mankiller. 4. Hickok and Calamity Jane were not lovers, were never married and didn’t have a daughter together. 5. 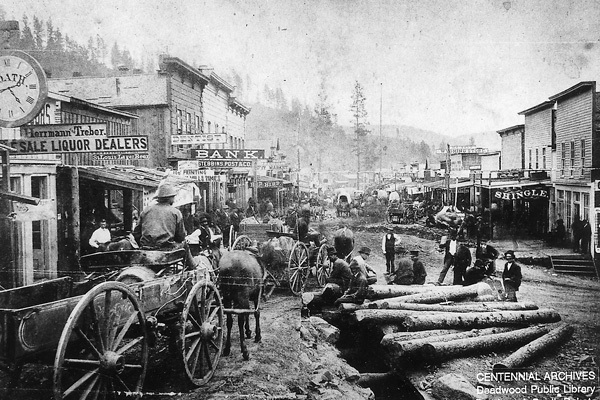 No evidence proves Hickok ever held aces and eights—the Dead Man’s Hand—when he was killed in Deadwood, Dakota Territory, on August 2, 1876. 6. Hickok was never seriously injured in a hand-to-paw fight with a bear in 1859 or 1860. Storytellers made up that account. 7. Folks claimed Hickok carried numerous buckshot and bullet wounds to his grave. But outside of the kill shot by Jack McCall, Hickok was never hurt in a gunfight. 8. Hickok did love to gamble, but even his friends said he was a poor card player and often the target of card sharps. 9. Hickok was regarded as one of the top gunhands ever, but even during his lifetime, people questioned his accuracy and speed—and historical accounts back up the skepticism. 10. 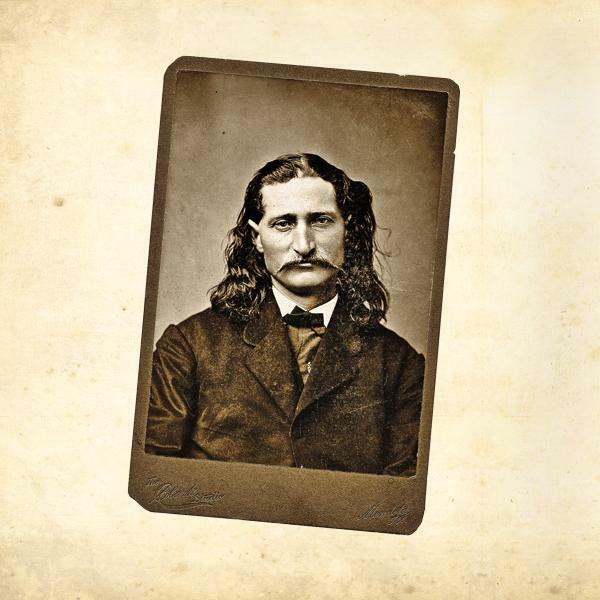 Hickok frequently carried two guns, but he rarely used his left hand to shoot. The second gun was a backup, in case the powder got wet, or he ran out of bullets, in the first pistol. Without Rosa’s enduring work and research into the legendary frontier gunfighter, we would never have learned these truths. We were proud to count Rosa among our True West family, and we will miss our conversations with him. The earliest known photograph of Hickok is this circa 1863 tintype. After a brief stint as a Union teamster during the Civil War, he was employed in late 1863 as a special policeman and later attached as a scout to Brig. Gen. John B. Sanborn’s headquarters in Springfield, Missouri. This haunting image of the famed frontier gunfighter, believed to have been taken in the early 1870s, hung in his sister Lydia’s home. Hickok’s expression “bears a hint of the tragedy that awaited him,” Rosa wrote. Joseph G. Rosa (left) brought James Butler “Wild Bill” Hickok out of frontier legend and into historical reality. University of Oklahoma Press gets the credit for publishing Rosa’s excellent research, beginning with his definitive biography of Hickok in 1964, They Called Him Wild Bill, as well as 1982’s The West of Wild Bill Hickok and 2003’s Wild Bill Hickok, Gunfighter: An Account of Hickok’s Gunfights. 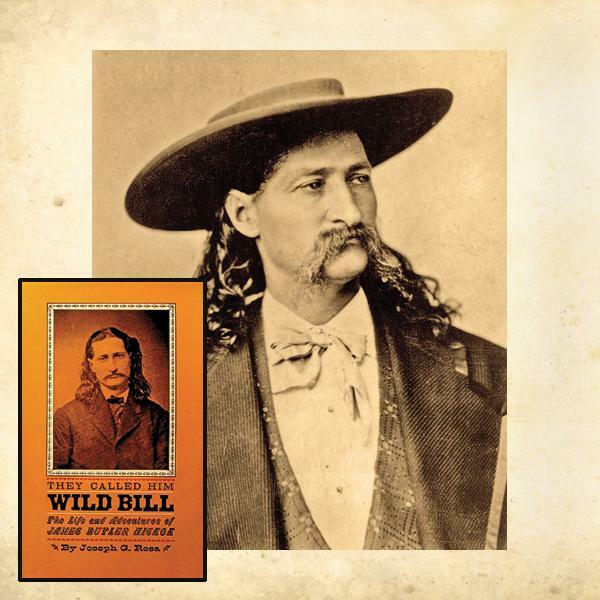 “Joseph G. Rosa’s earlier book They Called Him Wild Bill is not only the definitive biography of the redoubtable James Butler Hickok but also a model for biographies of other western figures,” wrote historian Gary L. Roberts, in the Great Plains Quarterly in 1984. 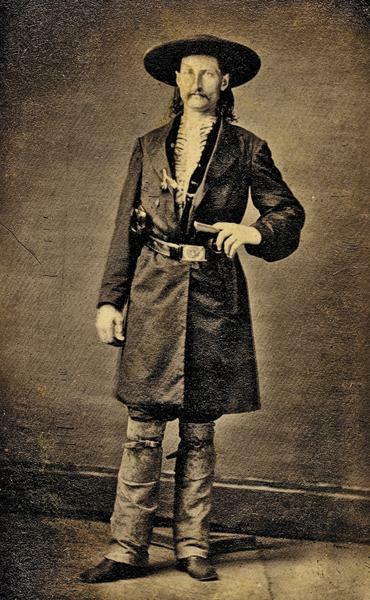 Discovered in 1989, this photo of Hickok shows him wearing his Navy Colts in crossdraw style, with the pistol butts pointing forward. This allowed the “Prince of the Pistoleers” to draw his weapons underhand and spin forward for a reverse draw. 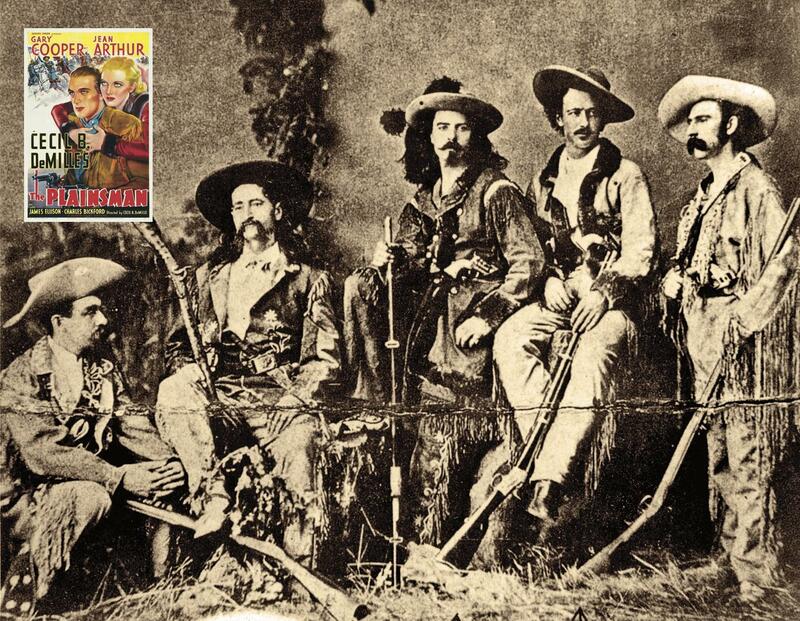 American theatrical business manager Frank Jenners Wilstach learned of Hickok’s 1870s stage career (see Hickok, second from left) and wrote a book about him in 1926. Rosa utilized some of Wilstach’s research for his own work. Wilstach’s book inspired the 1936 Western, The Plainsman, that encouraged Rosa to research the real-life Hickok behind Gary Cooper’s character. 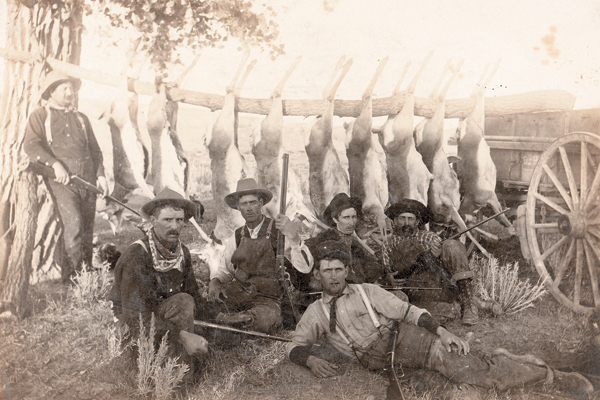 A Nation of Hunters Hunting has been a fixture of North American life from long before the founding of the United States.